Astute Animal Control Officer committed to ensuring the proper control and handling of various animals. 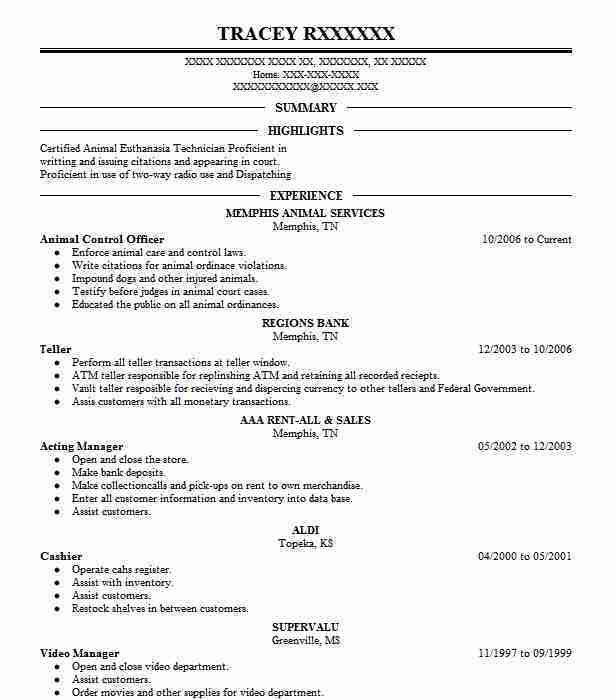 Adept at identifying animal control issues and implementing effective control methods. 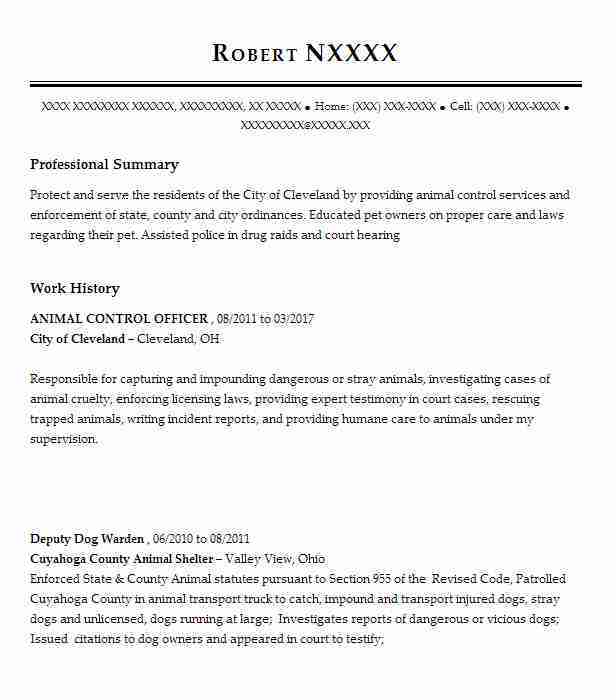 Specialize in carrying out humane animal control procedures and investigating animal abuse cases. ¥ Responded to reports of animals in residential communities. ¥ Identified and recorded the breed and gender of each captured animal. ¥ Ensured that all municipal animal control codes were enforced. ¥ Responded to reports of animal bites or unruly animals. ¥ Provided information on animal control regulations as requested. ¥ Prepared all required records on captured animals. ¥ Euthanized animals as required by city regulations. ¥ Investigated reports of abnormal animal behavior. 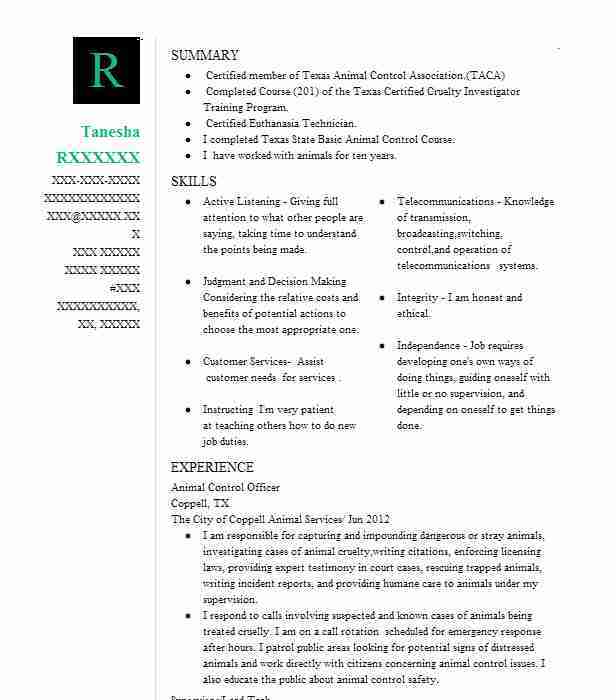 There are plenty of opportunities to land a Animal Control Officer job position, but it won’t just be handed to you. 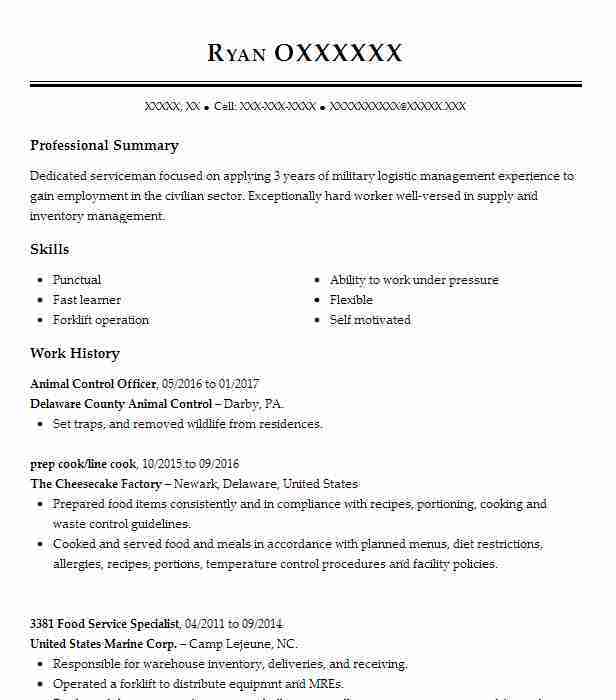 Crafting a Animal Control Officer resume that catches the attention of hiring managers is paramount to getting the job, and LiveCareer is here to help you stand out from the competition. 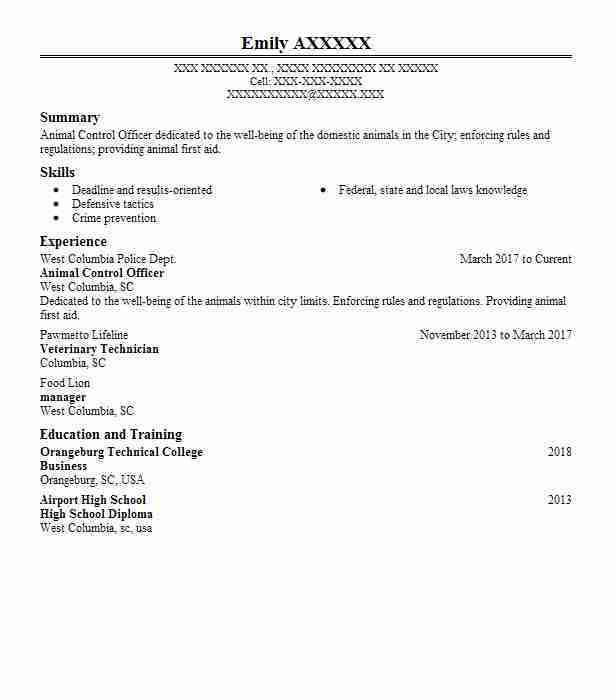 Animal Control Officer @ West Columbia Police Dept.